China will increase funding to support weak links in the country's infrastructure, the banking and insurance regulator said Saturday. The country will step up credit support for infrastructure projects with sound capital base and good operation, on the condition that the funding won't add up to the hidden debt burden of local governments, the China Banking and Insurance Regulatory Commission said in an online statement. Insurance funds should support key projects via various financing channels including debts, stocks, or the combination of both forms, the statement said. Based on analysis of ongoing infrastructure projects, banks and insurers should meet reasonable financing demand in accordance with principles for market orientation and give necessary support to unfinished projects. 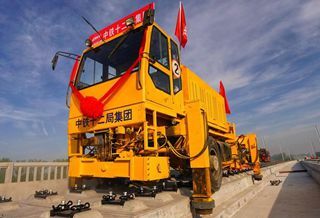 The regulator also asked banks and insurers to step up financing for various sectors in the real economy, with favorable policies to be given to export-oriented companies and the private sector, according to the statement.